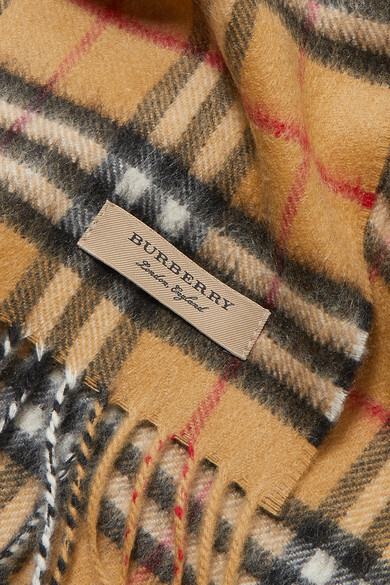 Nothing captures quintessential British style quite like a Burberry scarf. 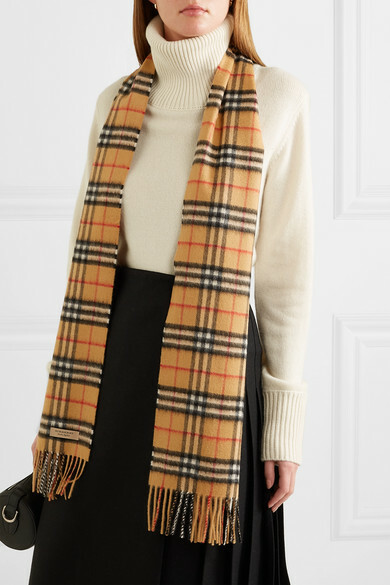 Made at 200-year old mill in Scotland, this version is knitted on traditional looms from cashmere and spun with the house's iconic checks. It's been brushed to make it feel even softer and has tactile fringed ends. 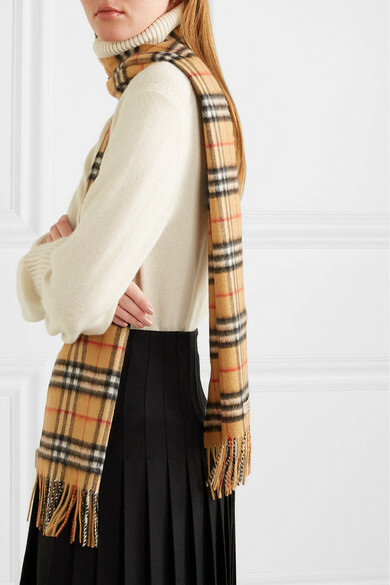 Shown here with: Burberry Sweater, Burberry Skirt, Burberry Shoulder bag, CALVIN KLEIN 205W39NYC Ankle boots, Jennifer Fisher Earrings.